The speaker biographies are also available to download from the righthand sidebar. 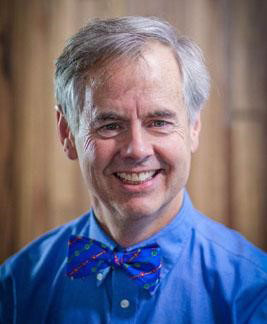 Dr Clifton E. Barry III received his Ph.D. in organic and bio-organic chemistry in 1989 from Cornell University, studying the biosynthesis of complex natural products. Following postdoctoral research in the chemistry department at Johns Hopkins University (1989 to 1992), Dr Barry joined the Intramural Research Program of the National Institute of Allergy and Infectious Diseases’ (NIAID’s) Rocky Mountain Laboratories in Hamilton, Montana. In 1998, he was tenured as chief of the Tuberculosis Research Section (TRS) in the Laboratory of Clinical Infectious Diseases of NIAID. TRS projects focus on understanding the scientific issues that facilitate the development of drugs that will make a genuine difference in the outcome for TB patients globally. TRS scientists are highly interactive worldwide in this endeavour and as a result of our outstanding collaborations TRS is the most highly cited TB research group in the world according to Thomson Reuters. In addition to TRS laboratories in Bethesda TRS works closely with the International Tuberculosis Research Center located in Masan, South Korea; with Chinese colleagues at the Henan Provincial Chest Hospital in Zhengzhou, China; and with colleagues at Stellenbosch University (SUN) and the University of Cape Town (UCT) in South Africa. Dr Barry holds an honorary professorship at UCT and has a growing laboratory in the Institute for Infectious Disease and Molecular Medicine. Dr Manu De Ryker is Portfolio Leader for Kinetoplastid Drug Discovery at the DDU and also leads its Parasite Screening Team. Manu has an engineering degree in cell and gene biotechnology from the University of Ghent, Belgium and a Ph.D. in molecular genetics from the University of Cincinnati, Ohio, USA. 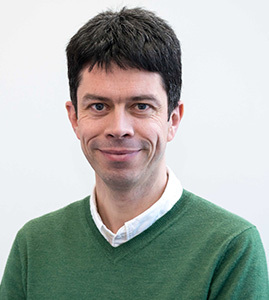 After postdoctoral work with Professor Peter Parker at the Cancer Research UK Lincoln’s Inn Field laboratories (London, UK), he moved to the University of Dundee to take up a post in the Drug Discovery Unit (DDU), developing high-content imaging assays for intracellular kinetoplastid parasites. Dr Nathalie Gobeau is Director, Pharmacometrics, Research & Development at Medicines for Malaria Venture. Her role is to develop and apply pharmacokinetic (PK) and pharmacodynamic (PD) models, which integrate in vitro and in vivo data to help with the selection of compounds and with the translation of preclinical information to humans, with the ultimate goal of accelerating delivery of antimalarial drugs to patients. Nathalie joined MMV in 2015. She has extensive experience in modelling, from modelling smoke movement from fires in tunnels to modelling the fate of drugs in the body. For the first eight years of her career, she worked in the public sector, in the area of health and safety at work, first for the UK Health and Safety Laboratory, then for the French Institute INERIS (Institut National de l’Environnement Industriel et des Risques). Following this, she moved to the pharmaceutical industry. Nathalie worked for UCB Pharma in Belgium for three and a half years in the Modelling Team, initially assisting with clinical paediatric development, then helping to design the First In Human studies. Most recently, she spent five years at Novartis as a PBPK modeler, helping teams to understand the pharmacokinetics of discovery compounds from in silico, in vitro and initial PK data in animals. Nathalie obtained an Engineering Degree in 1994 and a PhD in fluid mechanics in 1998 from the Ecole Centrale de Lyon in France. Professor Paul Herrling was Head of Corporate Research at Novartis. He was also Chairman of the Board of the Novartis Institute for Tropical Diseases in Singapore, an endeavor to advance medical research in the area of tropical infectious diseases, which historically have received little drug-research funding. Prior to this, Paul Herrling was Head of Global Research at Novartis Pharma and a member of the Pharma Executive Committee (PEC). Paul Herrling is also Professor of Drug Discovery Science at the University of Basel, Switzerland. He obtained his doctorate in 1975 at the University of Zurich and was a post-doctorate fellow at the Neuropsychiatric Institute at the University of California, Los Angeles (UCLA). In addition to a number of scientific editing activities, he serves on several boards, most notably: he is on the Scientific Advisory Committee of the Drugs for Neglected Diseases initiative (DNDi) in Geneva, the Scientific Advisory Board for H3D Cape Town University, an advisor to the Wellcome Trust and a member of the Board Novartis Venture Fund. 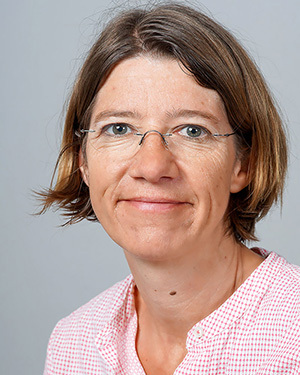 Dr Jennifer Keiser, Associate Professor, is Head of Helminth Drug Development at Swiss Tropical and Public Health Institute. Her responsibilities include: Maintenance of large range of helminth life cycles (e.g. Necator americanus); In vitro and in vivo evaluation of biological activities of compounds; Development of novel in vitro helminth assays to study drug sensitivities; Pharmacokinetic studies in rodents, large animals and humans; Bioanalytical method development; Clinical trials in helminthiasis endemic countries. Jennifer graduated from University of Basel in 1995 with MSc in Pharmacy. In 1999 she obtained a PhD in Zoology from the Swiss Tropical Institute, Department of Medical Parasitology, University of Basel. Her post-doctoral research in Demography and Epidemiology was carried out at the Office of Population Research, Princeton University from 2000-2003. 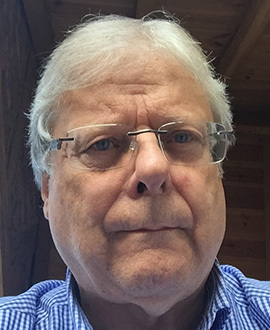 Dr Paul Leeson is a medicinal chemistry consultant with >35 years’ experience in major pharmaceutical companies: Smith Kline and French, Merck Sharp and Dohme, Wyeth (USA), AstraZeneca, and GlaxoSmithKline. Since 2014 he has advised pharmaceutical companies, start-ups, and academia. At AstraZeneca (1997-2011) Paul was head of medicinal chemistry at the Charnwood site and he led AstraZeneca’s Global Chemistry Forum. Paul’s drug discovery contributions have been in the cardiovascular, neuroscience, respiratory and inflammation therapy areas. He has a special interest in compound quality and in 2014 he received the Nauta Award from the European Federation of Medicinal Chemistry. 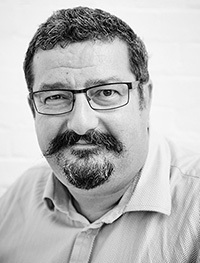 Paul has a PhD from the University of Cambridge and holds an honorary professorship at the University of Nottingham. 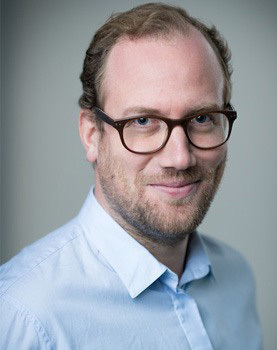 Dr Didier Leroy leads the biology at Medicines for Malaria Venture (MMV) as well as drug discovery activities in the context of individual projects, miniportfolios of pharmaceutical companies and pharmacology platforms. 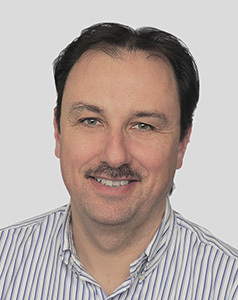 Didier, a molecular pharmacologist/biologist, joined the MMV Drug Discovery Team in 2009 from Merck-Serono International, where he was managing a Team of 12 collaborators and several projects including Malaria in the Lead Discovery Department. He has broad experience in drug discovery and disease biology (infectious diseases, cancer, inflammation and neurological disorders). Before MMV and during seven years in Pharmaceutical companies and ten years in the academic field (laboratory established and led at the Geneva University), he worked on multiple aspects of a project: target characterization, impact of nuclear organization on gene expression, proteomics, lead identification and optimization, molecular/cellular and in vivo pharmacology, druggability evaluation and cellular biology/biochemistry. 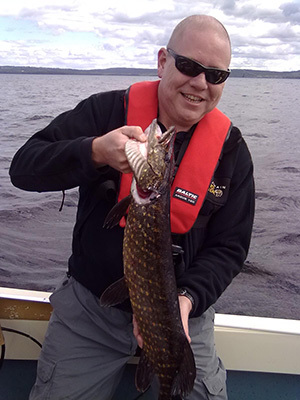 Didier has a PhD in Molecular Biology from the University J. Fourier of Grenoble in France and has more than 60 published scientific papers in various fields from enzymology and structural biology to parasitology. Professor James McCarthy is a Senior Scientist at QIMR Berghofer Medical Research Institute, and an Infectious Diseases Physician at Royal Brisbane and Women’s Hospital, both in Brisbane, Australia. His clinical and research training were undertaken in Australia, the United Kingdom, at the University of Maryland and the Laboratory for Parasitic Diseases, National Institutes of Health, Bethesda, MD, before returning to Australia in 1997. A major focus of his research is the development and application of clinical trial systems that entail deliberate infection of human volunteers with malaria parasites by intravenous injection of Plasmodium-infected red blood cells. Volunteers are then studied in the pre-symptomatic period by qPCR to evaluate investigational drugs, vaccines and diagnostics for malaria. Professor Valerie Mizrahi is director of the Institute of Infectious Disease and Molecular Medicine at the University of Cape Town. She also directs an extramural research unit of the South African MRC, co-directs of national centre of excellence in TB research, and was an International Research Scholar of the HHMI until 2017. She obtained her PhD in Chemistry from UCT and completed a postdoc with Stephen Benkovic at Penn State before returning to South Africa. Her research focuses on aspects of the physiology and metabolism of Mycobacterium tuberculosis of relevance to TB drug resistance, persistence and drug discovery. 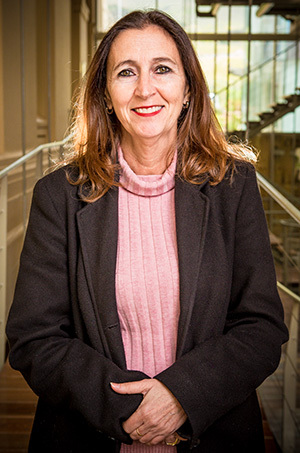 Valerie is a Fellow of the American Academy of Microbiology, African Academy of Science and Royal Society of South Africa; Associate Fellow of The World Academy of Science, and Member of the Academy of Science of South Africa. Her major awards include the 2000 Unesco-L’Oreal For Women in Science Award (Africa and the Middle East); 2013 Christophe Mérieux Prize from the Mérieux Foundation and Institut de France, and 2017 Platinum Medal from the SAMRC. Dr John Overington joined the Medicines Discovery Catapult as Chief Informatics Officer in April 2017 from technology company Benevolent AI, where he was involved in the development of novel data extraction and integration strategies, integrating deep learning and other Artificial Intelligence approaches to drug target validation and drug optimisation. John, who has a degree in Chemistry from Bath and PhD from Birkbeck College, London, has also worked at Pfizer – first as a computational chemist and then leading a multidisciplinary group combining rational drug design with structural biology. He has also held a postdoctoral position at the Imperial Cancer Research Fund (now part of CRUK). Dr John Pottage (Chief Scientific and Medical Officer) oversees R&D, Regulatory, Safety and Medical Affairs at ViiV Healthcare. He is the former SVP, Infectious Diseases Medicine Development Centre for GSK. He previously held senior positions at Vertex Pharmaceuticals and Achillion Pharmaceuticals, where he helped lead a successful IPO in 2006 and led the HIV and HCV development programmes. Before joining the pharmaceutical industry, John was Associate Professor of Internal Medicine in the Section of Infectious Diseases at Rush Medical College in Chicago. While at Rush, he was Director of the Outpatient HIV Centre. John is board certified in both Internal Medicine and Infectious Disease. He is the author of more than 50 peer-reviewed medical articles as well as the author of several chapters in Infectious Disease textbooks. 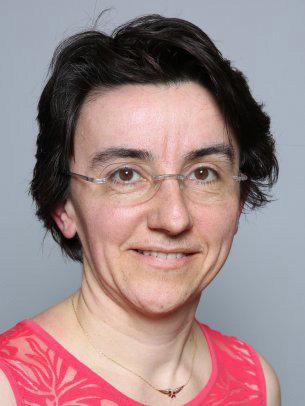 Dr Isabela Ribeiro is the Scientific Lead, Dynamic Portfolio Unit at Drugs for Neglected Diseases initiative (DNDi). Dr Ribeiro is a medical doctor with post-graduate training in infectious diseases and over 20 years of drug development experience focused on neglected tropical diseases. Working at DNDi since 2005 in projects on malaria, visceral and cutaneous leishmaniasis and Chagas disease, involved in the development and registration of two DNDi available products – artesunate-mefloquine fixed-dose combination and the paediatric dosage form of benznidazole. As DNDi Head of Chagas Disease, the disease program and key partnerships were established, the Chagas clinical trial platform was launched and clinical development and regulatory strategies in Chagas were defined, leading to the implementation of several new proof-of concept clinical trials in adult and paediatric Chagas disease and new lines of investigation on biological markers of therapeutic response. An area of specific interest is the evaluation of alternative regimens of available treatments for Chagas disease, in both monotherapy and combination. With WHO-TDR, contributed to several projects involving the management of large community-based clinical studies in endemic countries and drug regulatory trials for tuberculosis and malaria in resource-limited settings, in Asia, Africa and Latin America. Dr Lynn Silver earned her PhD at Tufts University in Molecular Biology and Microbiology. After postdoctoral work at the University of Geneva and NIH, she joined Merck Research Laboratories in 1982, where she supervised groups in screening for new antibacterials in natural products and chemical collections and collaborated with chemists in improving older antibiotic classes to overcome resistance. Among other accomplishments, she was involved in the discovery of the earliest inhibitors of LpxC (Lipid A deacetylase), the novel antibiotic platensimycin, and participated in the development of ertapenem. 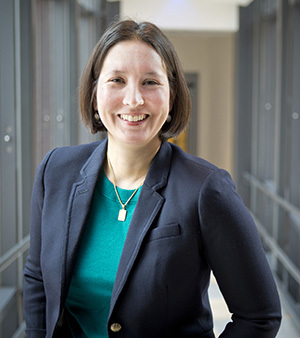 Her expertise includes broad knowledge of antibacterial agents, screen design, evaluation of hits and leads, and studies of mechanism of action and resistance. 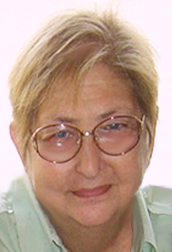 After early retirement from Merck she established an independent consultancy in antibacterial discovery and continues to write on topics of antibacterial discovery and its discontents, including the highly cited “Challenges of Antibacterial Discovery”. 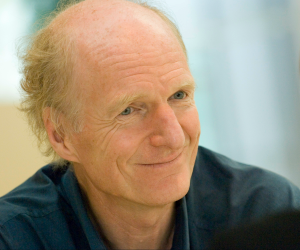 Dr Thomas Spangenberg is responsible for drug discovery activities within the Merck Global Health Institute focusing primarily on Malaria and Schistosomiasis. Before joining Merck, Thomas worked with Medicines for Malaria Venture (MMV) in the discovery team on the early stages of the pipeline from compound screening to candidate selection. Also Thomas led the open source Malaria Box and Pathogen Box initiatives designed to catalyze drug discovery research in neglected diseases. Thomas holds a PhD in organic chemistry from the Universities of Strasbourg (France) and Freiburg im Breisgau (Germany). In 2009, he was appointed as a Post-doctoral fellow at Harvard University (USA) where he contributed to the total synthesis of the mycolactones and the development towards the point-of-care diagnosis of Buruli ulcer, a neglected necrotizing skin disease. He authored and co-authored over 20-peer-reviewed articles and is a co-inventor on several patents. Professor Shyam Sundar has worked continuously on the neglected disease kala-azar for three decades. He was the first person to describe the large scale pentavalent antimony failure in Bihar. He chose an extremely backward region of the country for his field work. He led the testing of the first oral drug miltefosine leading its approval in March 2002. This drug was used widely in the Indian Subcontinent in the Kala-azar Elimination programme (KAEP). Dr Sundar was also instrumental in clinical development of rapid k39 immunochromatographic test. With this test it is now possible to make the diagnosis of kala-azar with a drop of blood from a finger prick with reasonable accuracy. He also led the phase III clinical trial of paromomycin leading to its first approval for the treatment of visceral leishmaniasis. He demonstrated efficacy of a single dose liposomal amphotericin treatment which is now being used extensively in KAEP. He also demonstrated excellent efficacy of multi-drug therapy with antileishmanial drugs. 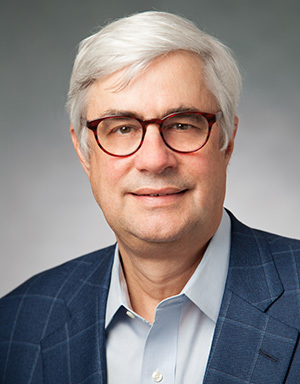 Professor Wesley C. Van Voorhis, MD, PhD is Professor of Medicine in the Division of Allergy and Infectious Diseases, and Adjunct Professor of Global Health and Microbiology, and Director of the Centrer for Emerging and Re-emerging Infectious Diseases (CERID), University of Washington. Wes trained at MIT (undergraduate), Cornell Medical College and Rockefeller University for MD/PhD degrees, UC San Francisco for internal medicine and University of Washington (UW) for ID Fellowship. As a UW faculty member, Wes researches, practices medicine, teaches, and until 2017, led the Division of Allergy and Infectious Diseases at UW. Wes is the Director of the Center for Emerging and Re-emerging Infectious Diseases, which takes a multidisciplinary approach to identifying and developing diagnostic, therapeutic and vaccine solutions to emerging IDs. For the past 25 years, Wes works on pre-clinical drug development for malaria, trypanosomes, leishmania, and cryptosporidium. He works extensively in target-based drug development and, where possible, uses iterative structure-based drug development. Wes’ lab is now characterizing a new preclinical drug candidate for the treatment of cryptosporidiosis. He is also the PI of a clinical trial to test the efficacy of clofazimine for cryptosporidiosis in Malawi. Professor Sir Nicholas John White KCMG OBE DSc MD FRCP F Med Sci FRS is Professor of Tropical Medicine at the Faculty of Tropical Medicine, Mahidol University, Thailand and at Oxford University, UK. He is also a Consultant Physician in acute general medicine at the John Radcliffe Hospital, Oxford. 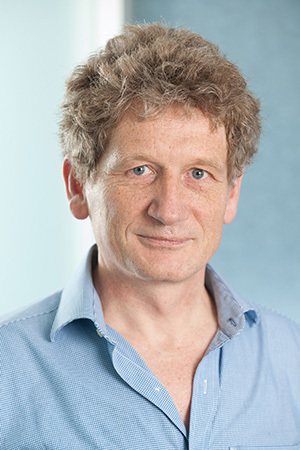 Professor White is a Wellcome Trust Principal Research Fellow who chairs the Wellcome Trust Tropical Medicine Research Programmes in South East Asia. He trained in medicine in London at Guy’s Hospital and he has lived and worked in Thailand since 1980. His research focus is the pathophysiology and treatment of malaria. He has concentrated on characterising antimalarial pharmacokinetic -pharmacodynamic relationships to improve the treatment of malaria and to reduce the emergence of resistance. This led to artemisinin based combination treatment for falciparum malaria, and the change to artesunate for the treatment of severe malaria. 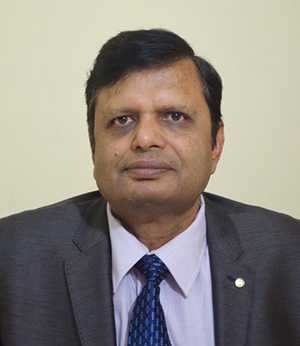 He has authored over 1000 scientific publications and 50 book chapters. He has received several awards including the Royal Society Glaxo SmithKline prize, the Prince Mahidol Prize for Medicine, the Canada Gairdner Foundation Global Health Prize, and the Royal Society of Tropical Medicine and Hygiene Manson medal. He is currently a member of the WHO antimalarial treatment guidelines committee and chairs the Scientific Advisory board of the Drugs for Neglected Diseases initiative. 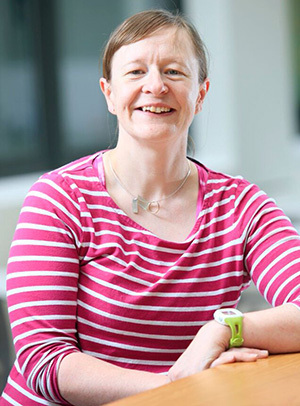 Dr Susan Wyllie is an Independent Investigator in the School of Life Sciences, University of Dundee and leads the Wellcome Centre for Anti-Infectives Research Mode of Action group.